Gervais Plumbing Heating & Air Conditioning pride themselves on being the best Auburn Plumbing Heating & Air Conditioning Company specializing in full service HVAC system installation, HVAC Repair and HVAC maintenance services. The Gervais HVAC team is licensed, bonded, insured and each member of our team is has a criminal background check and is drug screened. Our team works on any type of rooftop HVAC system or HVAC-EC system in Auburn, Massachusetts and offers the cheapest, most affordable price for maintenance services. 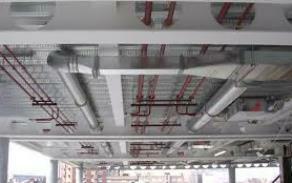 HVAC systems need regular tune-ups to stay running with high efficiency just like any other mechanical system. Gervais HVAC Services all makes and models of HVAC system including but not limited to American Standard, Aprilaire, Armstrong/Lennox, Bock, Bradford White, Bryant, Buderus, Burnham, Carrier, Climate Master, Command-Aire, Energy Kinetics Systems 2000, Fujitsu, General Air, Heatway, Honeywell, HTP, Lochinvar, Mitsubishi, Payne, Rheem, Sanyo, Space-Gard, Taco, Trane, Trol-A-Temp, Vaillant, WaterFurnace, Weil-Mclain, York as well as many types of heat pumps and water pumps. Gervais HVAC is highly skilled at working on condensers, heat exchangers, accumulators, DX Air Conditioners, chilled water systems, window air conditioners, mini split air conditioning, packaged terminal heat pumps, indoor air quality improvement systems, HEPA air purifiers, ambient heat systems and many other facets of HVAC components and systems. Call Gervais Plumbing Heating and Air Conditioning for the best HVAC company in Auburn, Massachusetts and be sure to check out the online discount coupons for HVAC service. Gervais HVAC is a highly experienced HVAC Company in Auburn, Massachusetts adept at properly installing the most complex heating, ventilating and air conditioning systems seamlessly, on-time and on-budget, every time! 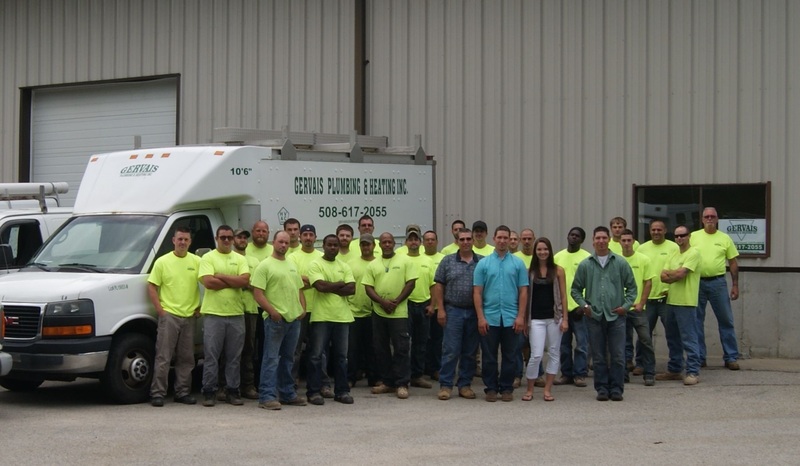 Gervais Plumbing & Heating has a large HVAC service team in Auburn, Massachusetts and can offer 24 hour emergency service for Plumbing/HVAC system repair as our customers are of the utmost importance. Our business acumen hinges on the principle of "Treating Every Customer As If They Are The Only Customers." This principle has catapulted Gervais HVAC to the forefront of the Plumbing and HVAC Industry in Auburn MA..
Gervais HVAC offers low rates for plumbing, heating, ventilation and air conditioning system installation, repair, replacement and maintenance services at the lowest cost to consumers in Massachusetts and educate customers regarding HVAC/EC rebates and tax credits for high efficiency heating, ventilation and air conditioning system design/construction. For over 10 years, the Gervais Family has prided themselves on providing the highest level of quality service utilizing the finest products backed by a warranty. This has elevated Gervais Plumbing & Heating to the upper echelons of the Plumbing/HVAC Industry in Auburn, Massachusetts. Gervais Plumbing & Heating Inc offers 100% customers satisfaction for all high efficiency HVAC System installation and Repair Services in Auburn, Massachusetts.